Drinks will give you antioxidants, which are important for building immunity. Having drinks will also make up for the water loss that occurs due to sweating and will maintain water-electrolyte balance in your body. Drinks should be consumed more frequently as they help to flush out the harmful toxins from your body through urine, boost metabolism, aids in weight loss, cleans the liver and improves kidney function, improves skin complexion and prevents wrinkles, reduces fatigue, improves your mood and so on. If you work-out then keeping yourself hydrated is of utmost importance. 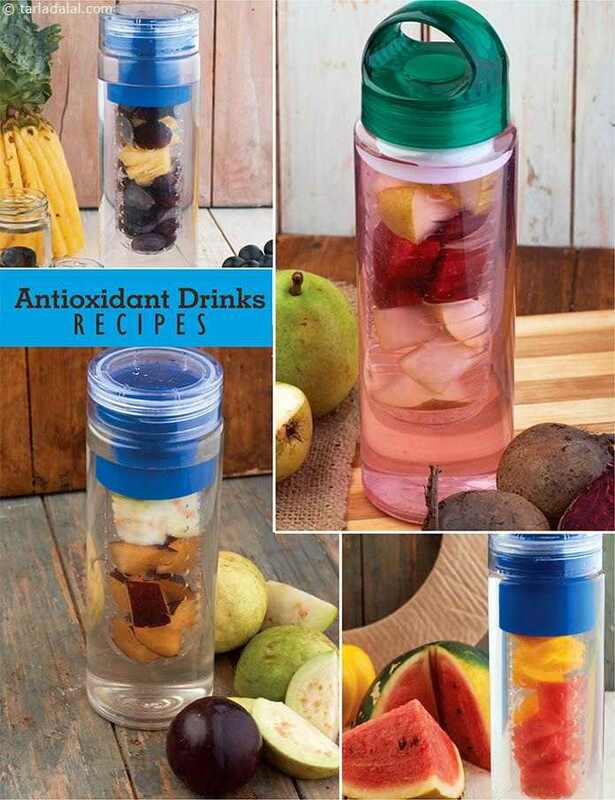 You can have sips of antioxidant rich fruit Infused water like Pink Guava Apple Infused Water between bouts of exercise or in between snacks to keep your body cells and lining healthy.